Back in 2012, it was my first time visiting the world's most beautiful wildlife park. 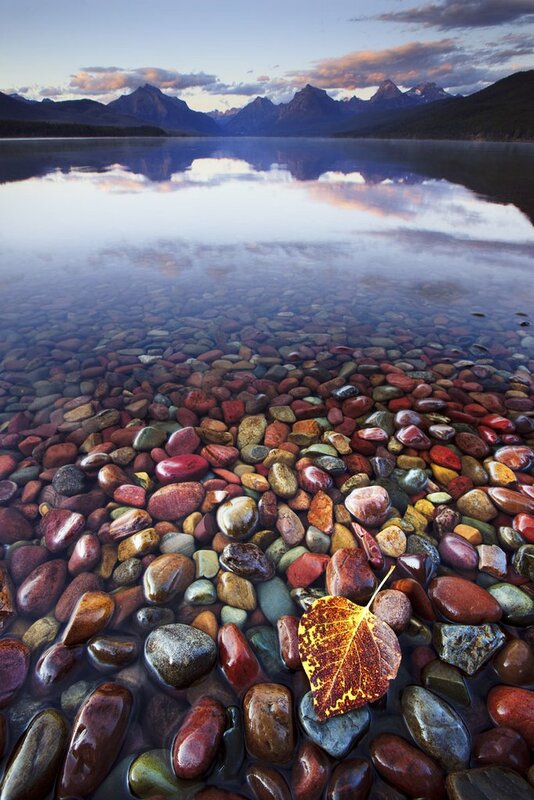 It's called Yellowstone National Park, We were there for an week. And we had lots of fun there. Lots of point of interests and hiking trails. 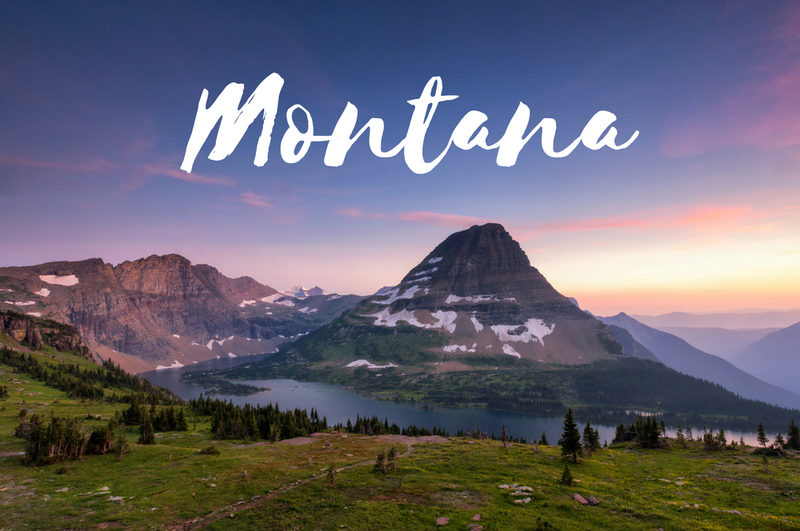 Yellowstone National Park is located across three states. 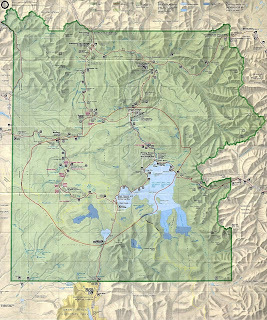 Mostly in Wyoming, the park spreads into parts of Montana and Idaho too. 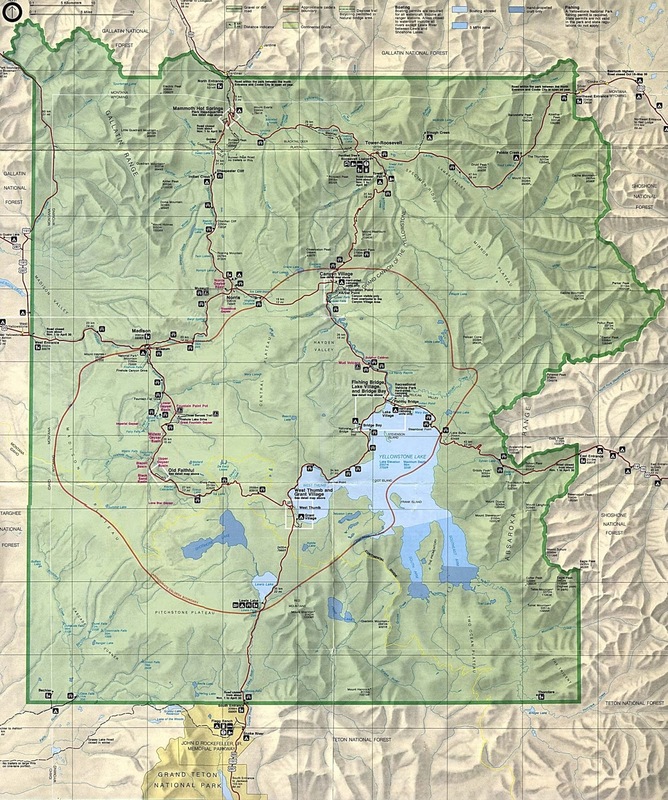 The Yellowstone National Park is nearly 3500 sq mile wilderness. 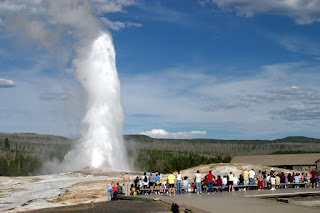 The first famous attraction to go to is Old Faithful Geyser. It was first discovered in 1870. Old Faithful is located in Yellowstone's Upper Geyser Basin in the southwest section of the park. And Old Faithful erupts just like clockwork. At the appointed time for the geyser to erupt a couple hundred people sat eagerly awaiting the spectacle. 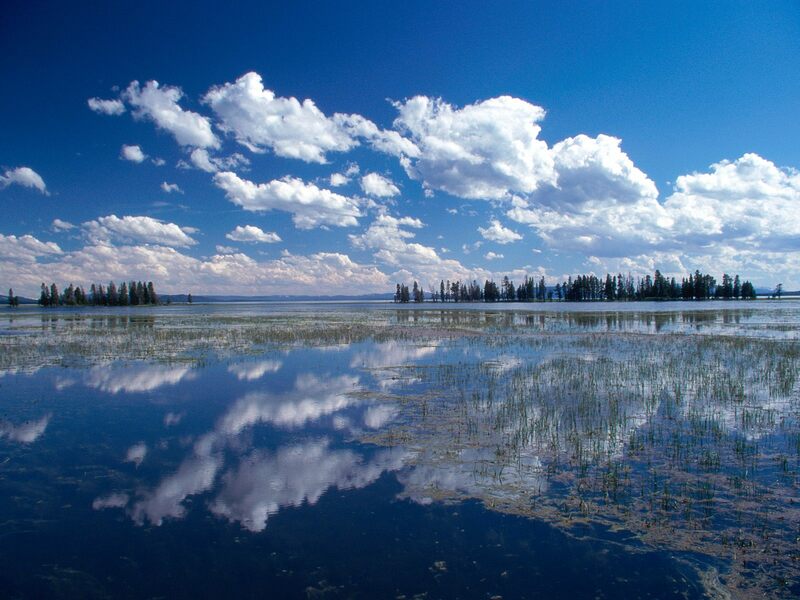 Second most famous attraction is Yellowstone Lake. It's a big lake in the Yellowstone area, and in some spots, you can see the mountains with some snow covering the far side. The water seems quite calm. There are some picnic areas. Since it's a big lake, you can see it from lots of points. 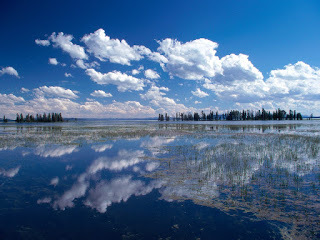 And if you go to West Thumb Basin, you'll walk the outer boardwalk, the outer side of the boardwalk is Yellowstone Lake. Overall I had a great day in the park. And I encourage everyone must visit there one day. Every once in a while, people need to take vacation, break their boring routine in life and travel to somewhere for a few days so they can get refreshed, recharged, refocused and reflect on a new place that they have never visited before. 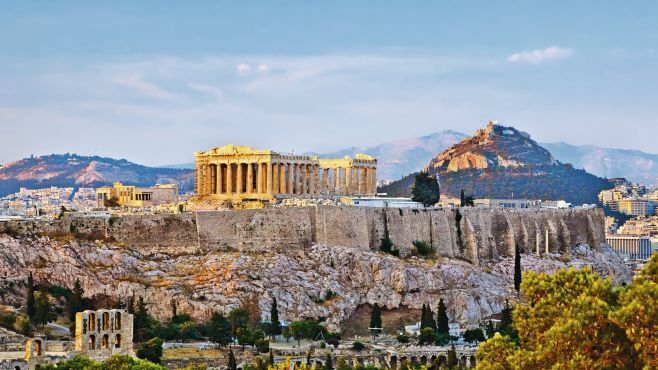 In 2011, I traveled to Athens, Greece on vacation with one my best friends, we stayed there for almost 3 weeks, It is considered as one my favorite trips that I've ever had in my life. 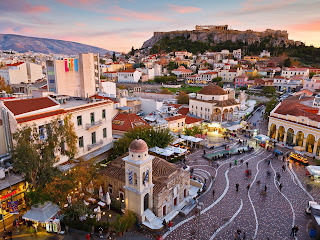 Athens was on my bucket list since i was young. 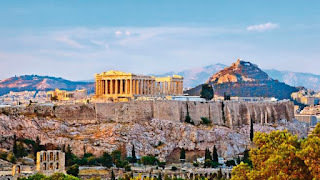 During our trip in Greece, we had stayed in the capital city "Athens" for a week, we visited a lot of historical places, but the one place that astonished me there was "Acropolis of Athens" because of the way it has been built on a rocky outcrop above the city of Athens with it several ancient buildings of great architectural and historic significance, the smell it holds in there from ancient Greek history, and the view of the city where you can see from the top. For the following 2 weeks, we were visiting different small islands close to Athens, but the most amazing island where I had such an unforgettable time was called "Santorini." Over there, we had such a great time relaxing by the beach, enjoying the calming weather, smelling the ocean, tanning in the sun every single mornings we spent there, while stargazing at night. 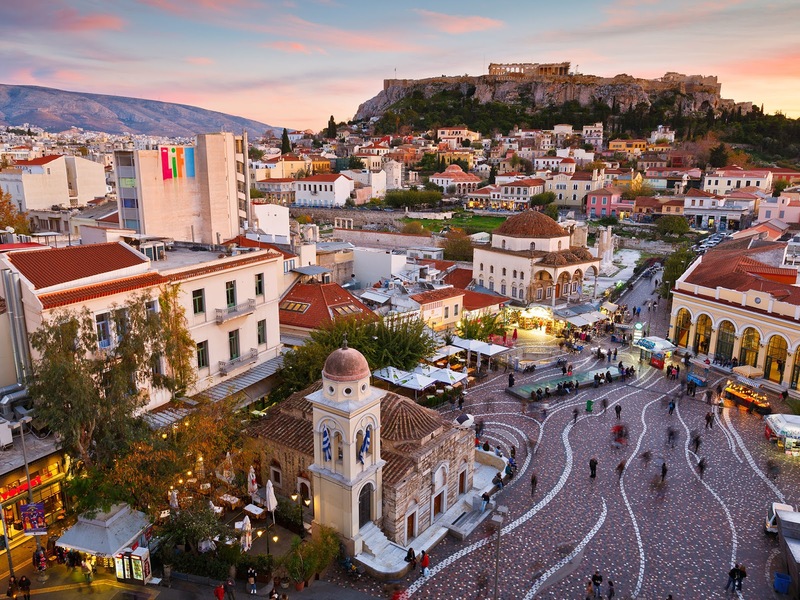 To sum it up, Greece is such an awesome country to visit for vacation with it's surrounding islands, it's an amazing trip I had that recharged me with a lot of positive energy. I definitely recommend it to anyone who wants to break their routine and go somewhere for a visit and relaxation. The second destination for us was doing the short hike to Hidden Lake . 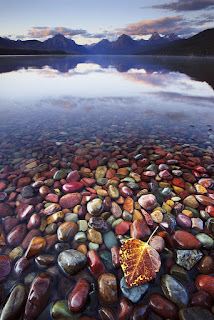 After we drove the car to the middle of Glacier National Park, the second most famous spot is Hidden Lake. We had to hike around 4 miles to get there. On the way to the top of Hidden Lake, if you were lucky, you might see wildlife like mountain goat or moose. 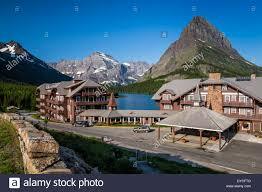 Then we drove to stay in the hotel near the Swiftcurrent Lake to see the sunset and stay overnight. 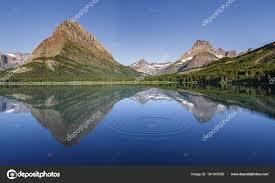 The lake was so wonderful in the evening, because the water reflected the mountain and it completely looks like a mirror. After that we spent our last night in the hotel at Swiftcurrent Lake, we did kayaking and we made some BBQ with another group of travelers. In the morning then we had driven a long way to the airport for our next destination. 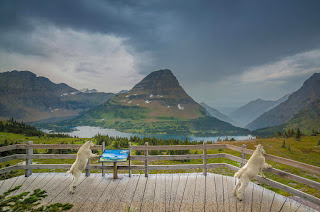 We spent almost three full days in Glacier National Park, and it was one the best memories i have ever had in my life and you must fall in love with it the same way as us. Cairns is a laid back city best enjoyed to stay for people who want to relax with sunshine, nature, silence and peace. At the beach, just a few couples were surfing, that made me feel happy because a crowded beach is annoying...Night time, I saw tons of tons of tons of stars in the sky!! !I cried for it's too beautiful...While I was hiking, I could hear some animals, waterfalls, wind...still quiet. At the French restaurant by the beach, it was almost packed but still quiet. Everything was going like slowly and peacefully. Wine was so delicious! My trip to San-Francisco. 17-mile drive. That was a trip of a lifetime. The way we planned our trip was horrible. In order to save some money on tickets to San Francisco, we have chosen one that had multiple layovers. We didn’t sleep about 18-20 hours, we were exhausted by the time we landed at our final destination. Then there were car renting hassle, and after 2 hours we were good to go explore the place. It was chilly, humid, and foggy in there,despite the fact that it was mid-august. Should I say that my friend was so excited since she got in the car, and she couldn’t stop talking about how wonderful it feels to be there, even though we were only on highways? I was tired and hungry, and couldn’t stop thinking of an apartment that we booked (her friend recommend it to us). Turned out it was terrible, and looked like nobody had cleaned there for months, and the neighborhood itself was kind of suspicious. Since we were all by ourselves that wouldn’t be safe for us probably. My friend didn’t mind staying there, but I did, because I was grossed out by the place. There was some cold disagreement but we got out, even though we paid for our stay. My excitement’s level had gotten even lower after we visited Golden Gate. It was so cloudy and foggy so we didn’t see even half of the bridge. Impressions were ruined. I wanted to go home and already hated San-Francisco with all its houses that have no air between them and hanging wires above heads. The scenery was pretty depressing. To be fair we didn’t actually go into the city. But I don’t think that could change anything. We ended up in the in San Jose, which is 90 miles down in some Inn, hungry, angry, and sad. We had a late dinner in some Thai restaurant and didn’t to speak to each other until the next morning. Next day we planned to visit Palo Alto with all its famous attractions, such as Stanford University, Apple office, and etc. After we headed to the Carmel-by-the-Sea, and there my mood started to boost up gradually. The view was scenic, high peaks, spirals, huge trees by the roads, and the sun finally made me smile again. But it was just the beginning. We got to Monterrey, the small town to watch whales, but we didn’t make it on time and missed it, had lunch and headed back on the road. After a little while we got on a 17-mile drive which was an ocean road. My God that was spectacular!!! 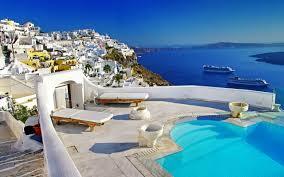 It has attractions points where you can stop and enjoy the view. We got out from our car after couple hours of sitting in there. Fresh breeze caught my breath. I was astonished by the power of The Pacific Ocean. Felt myself as tiny as a grain of sand on the beach. Salty air went through my hair and rested there for a while. Suddenly my mind felt so peaceful, my heart filled with joy and excitement, and my lungs got shocked by the amount of sea oxygen. All thoughts that were bothering me were melting down as I was watching the waves’ movements. They were so hypnotic. I wanted to stay there forever. It just strikes to your very heart… The Greatness of Creation. How could it be so beautiful? And it’s kind of ironic that I’m actually afraid of sharks and that’s why I’m terrified to swim in there. I preferred just to live the moment… I was recording a video on that beach and didn’t notice that the water was coming close to me. It left salt marks on my sneakers that wouldn’t go away no matter how thorough I washed them. I guess it’s a kind of a sweet memory, a souvenir of this trip. As I said there are multiple points that you could enjoy. Since it was almost sunset and we wanted to make to the Bixby Bridge, we didn’t have much time to fully appreciate all of them. Just one place that we stopped to take a picture turned out to be one of my favorites. I even don’t remember the name of it but I totally saw it before on the internet. My phone's camera couldn't capture the whole scenery unfortunately, and colors are not fully reflected too. It’s something that only the human eye can catch, nose can sniff, ear can hear, and skin can feel. It’s an alluring feeling of freedom, to be a part of The Great Existence…..
Today I experienced that again. Thank you dear teacher for this journey in memories and feelings.